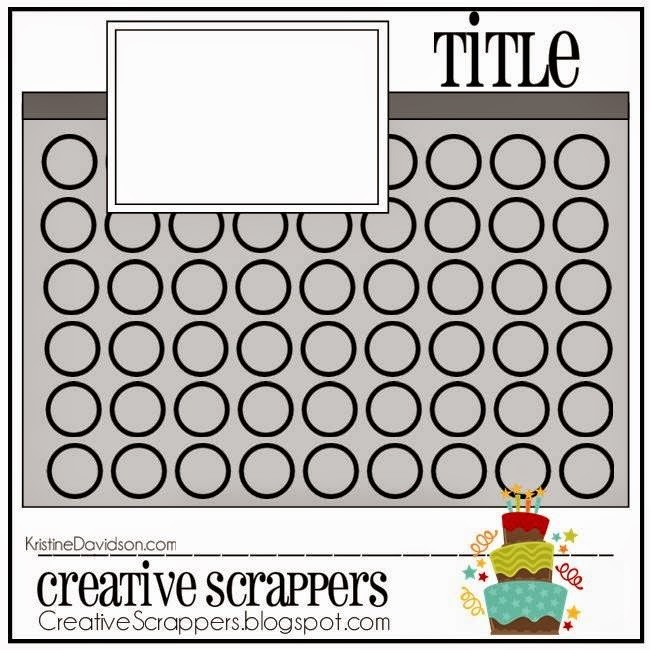 Creative Authority: Creative Scrappers - Birthday Bash! 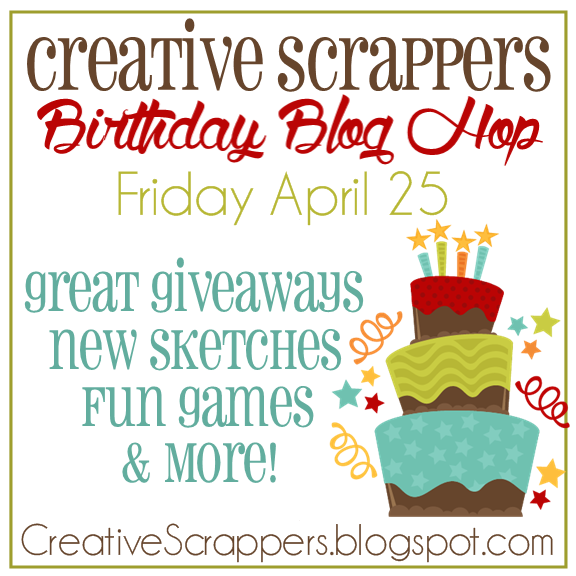 Creative Scrappers - Birthday Bash! Hello everyone and thanks for joining us on the this amazing adventure through the Creative Scrappers Blog Hop! We are celebrating 6 years of Creating with Sketches!! There are 12 new sketches for you and of course 12 new layouts by the Design Team to inspire you along your travels! Here is my sketch that I got to play with...(isn't it awesome???? )....I love that the bottom circles can be used as any type of background! It could be a fun piece of patterned paper or even different shapes - hearts would be super cute! And here is my take on it! I played around with my Cameo and cut out the background for the bottom portion of my LO. I love how it turned out! I also added a small cluster to the side of my photos and then some gold Color Shine throughout! Creative Scrappers is such a wonderful place for inspiration! All the sketches are very versatile and can be adapted to 12 x 12 lo's, 8.5 x 11 lo's as well as pocket page scrapbooking - and they can be used over and over again by rotating it and adding different elements and embellies! Thanks for playing along with Creative Scrappers and celebrating our 6th birthday with us! Head on over to the other Design Team members' blogs so see what they have created! Jody Rogers - You are here! Enjoy the blog hop and leave some love/comments when you can :)Make sure to come back on Sunday to see even more lo's using Sketch #267! what a sweet sweet layout :) I need to dust of my portrait after seeing this!! What a great layout and Fun photo. Fabulous sketch and I love your take on it! Such a sweet page! What a fun sketch! I love how you did the bottom, and your layout is very sweet! love your take on the sketch!!! so cute!! Adorable lo!! Cool idea to work it out like this with your cutting machine. Awe! That picture is too cute!! Awesome layout!! This layout is very cute! I loved it! This layout is gorgeous! I love the silhouette background! The feathers are great and that little wood camera is too cute! Stunning interpretation! Thank you for the inspiration! Love your layout, especially the silhouette background....wow! Great stitching! I know I'll be using this sketch and your layout as inspiration this weekend! LOVE IT! Ack! How adorable is that photo, love the cut file too! Super cute. Love the papers and such a cute little girl! Love the circles on your layout and on the sketch, how fun! Love your take on the sketch! Makes me want some kind of cutting machine. Love the details...especially the feathers! such a cool page and just love love your die cut on the bottom of the page!!! WOW, jody, very beautiful layout!!! love all the sketches. Adorable! The cute paper with the feathers really caught my eye! Super cute pic and pretty layout. 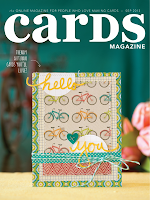 Love the die cut circle pattern and soft spring colors. Wow! you did an amazing job with this layout! I love what you did with that placemat!! I love your take on the sketch and that die-cut in lieu of the circles! Oh! My! Love that die-cut instead of the circles!! Woo!Hoo! Hi Jody... That is one of the cutest layouts ever. I am huge feathers fan and they grabbed my attention right away. 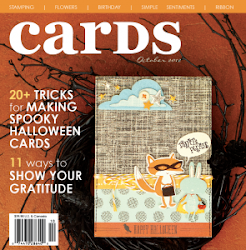 I love the design you made from the layout and the inspiration you bring to crafting. Thanks for sharing!! From one of your newest followers. Live the colours you used. Also love how you adapted the lower part of the sketch using a cut. Lovely sketch and cute LO! HUGS! awesome job with the sketch ;-)) thank you so much for being part of the CS Birthday Celebration! FUN use of this FUN sketch! Love the diecut on the bottom of the page! This is such a fun layout---love the design! Such a lovely page. I love the cutout. Love this sketch..........your take on it is beautiful!!! I love the cut out piece!! Great layout! Love the picture and the page! Love what you did with the sketch, Jody!! 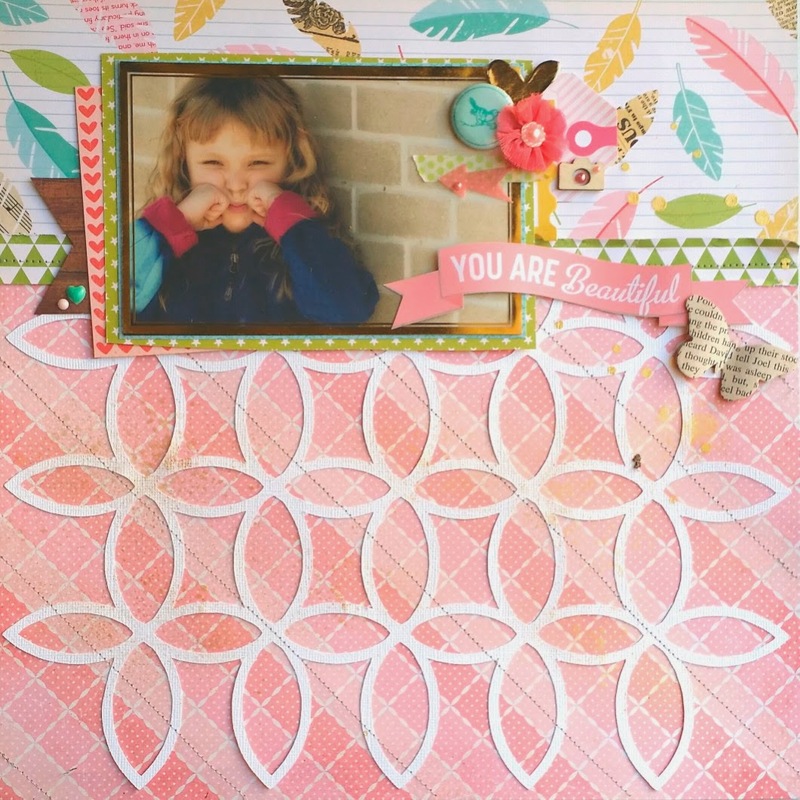 The feather patterned paper is so cute behind your photo and I love the die cut design!